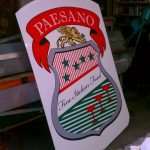 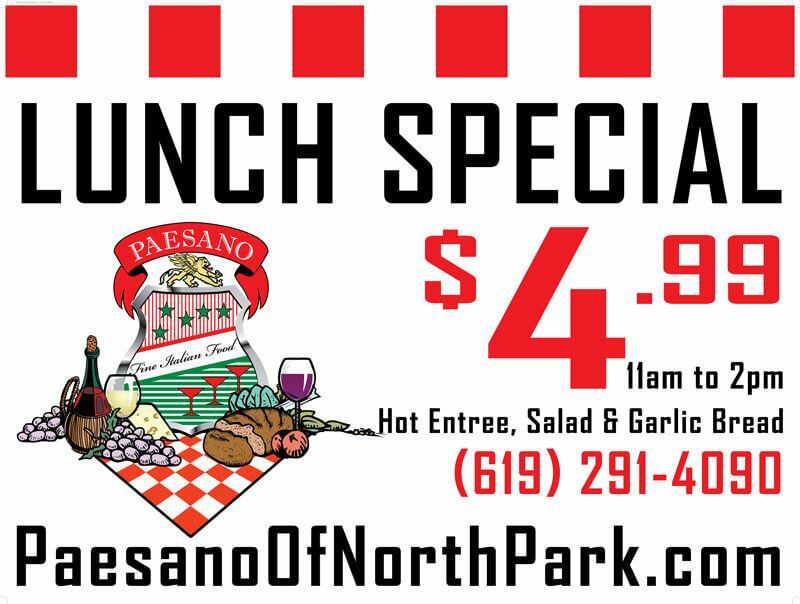 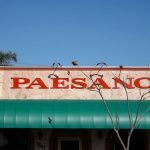 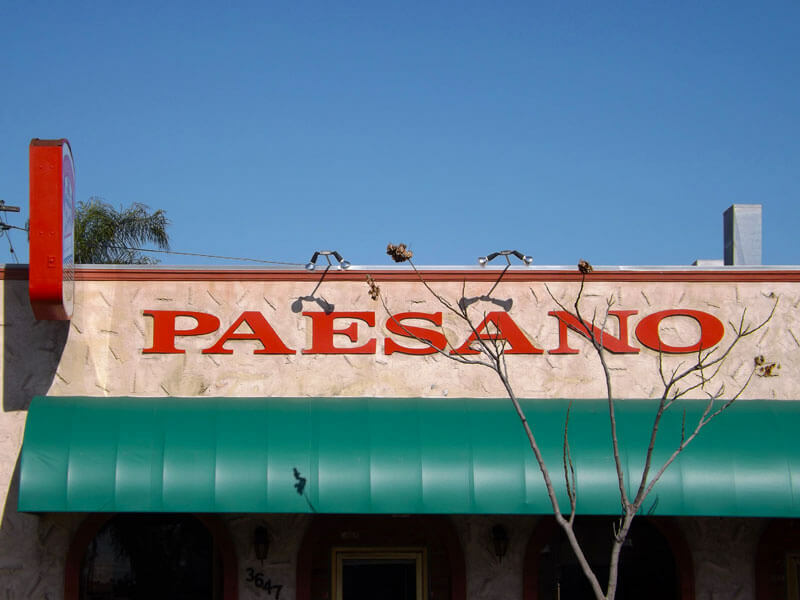 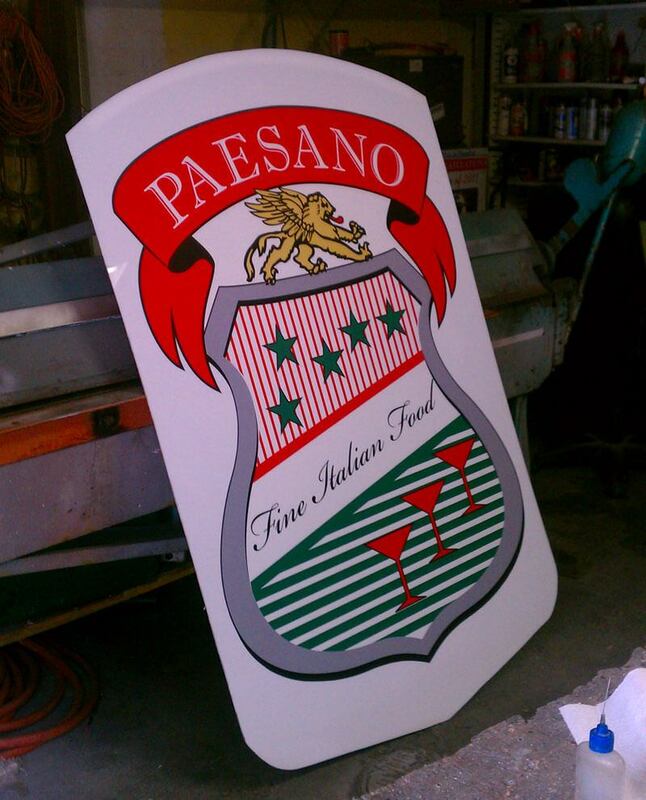 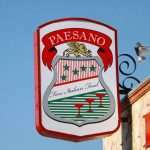 Paesano in San Diego’s North Park Neighborhood has been a fixture since 1967. 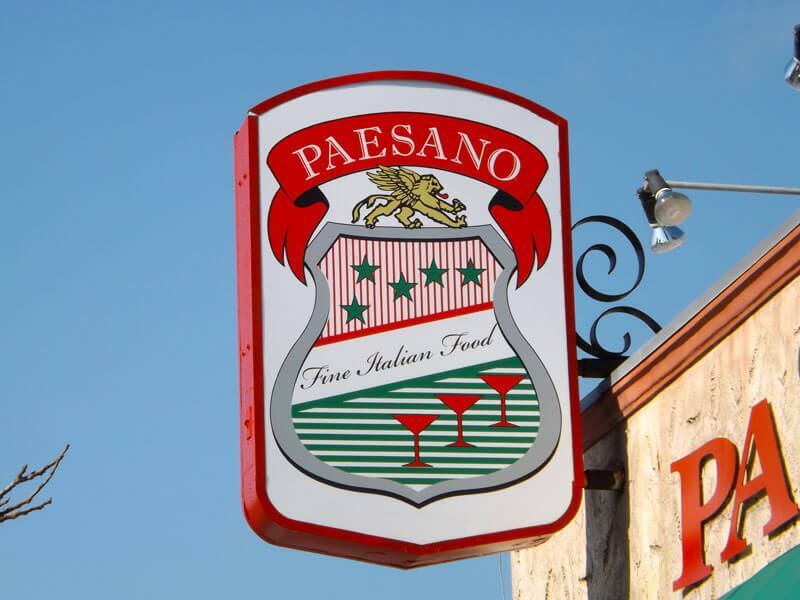 A family owned enterprise spanning two generations. 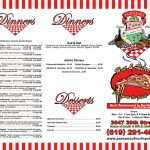 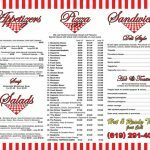 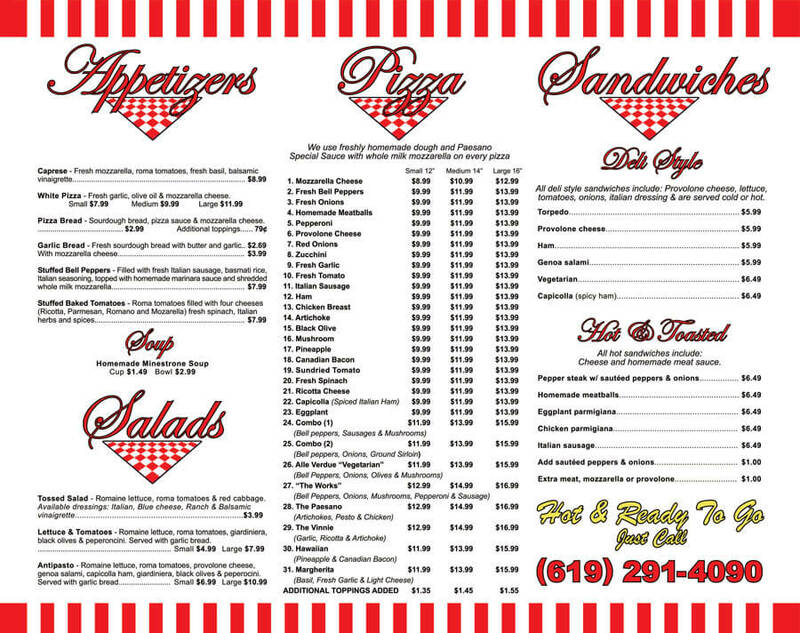 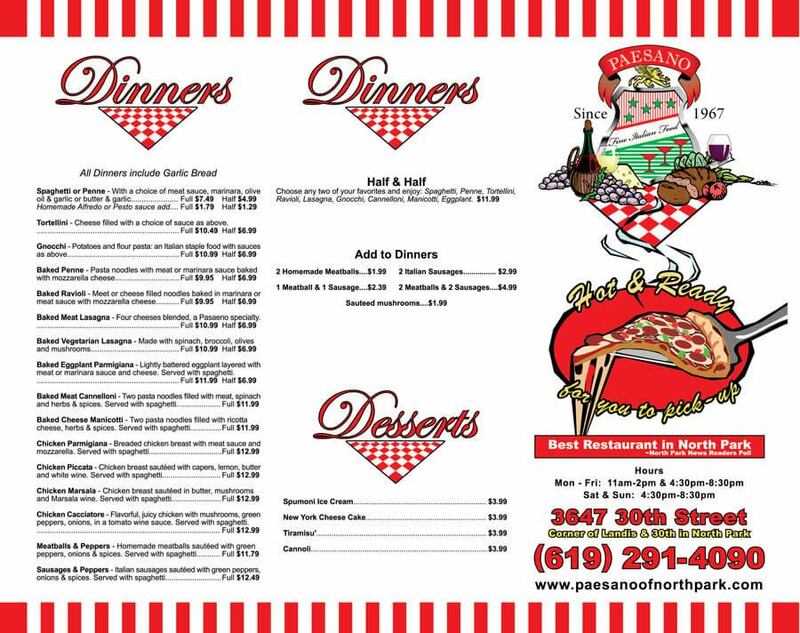 I assisted with revamping their logo then went on to produce several pieces for them including new signage, take away menu, banners, and occasionally imprinted clothing.